Hello Everyone, my name is Cliff and I am a chocolatemilkaholic. Hi Cliff. My decades long love affair with chocolate milk brings me dangerously close to falling into the abyss of abject milk snobbery. I will do my best to avoid this trap. 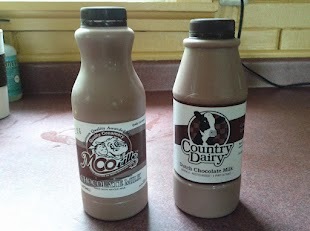 A few years ago I happily discovered Country Dairy: they are a multi-generational family owned dairy in New Era, Michigan. It is a great place to visit if you are in the area - they have tours, great ice cream, fun things for kids, etc. Visit Country Dairy Website. I was happily convinced that theirs was THE BEST chocolate milk I had ever enjoyed. I like that Country Dairy is family owned and that they do not feed their cows hormones to get more milk from them. By the way, they make great ice cream and other dairy products as well. Fire above - flood below. Tax dollars at work. 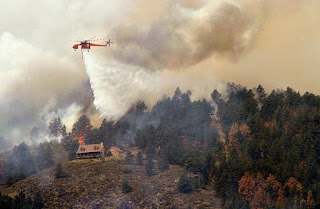 I have been following the fires in the Colorado mountains for a couple reasons. My sister and her husband live up there and I am relieved that their home has been spared. What is the deal with sound at concerts? 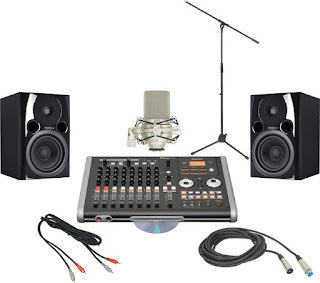 Before I commence this rant, let me give you a little personal history as far as my experience with sound. I first ran lights and/or sound when I was a teenager as part of the Hope College summer repertory theatre in 1975 and did some work in the Grand Rapids Civic Theatre as well. Stuff That Works - US Open Table Tennis in Grand Rapids. Spent some time in a totally alien environment today - I went to watch some of the matches in the 2012 Table Tennis U.S. Open Tournament which was held for the second year in a row right in downtown Grand Rapids. This event goes on for 5 days and has players from all over the world. I read about it last week and really wanted to experience it for myself.